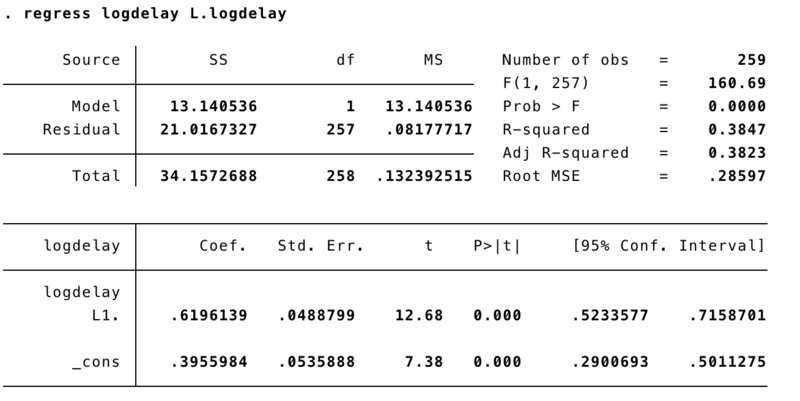 When you are fitting a simple time-series regression to your data, you have to make an assumption that indpendent (exogenous) variables in the regression have the smae effect on the dependent variable throughout the time of interest. If that’s not true, your regression is likely to be biased in some way. Unfortunately, structural changes in the relationships among variables is common. It might be that government policy changes, a company receives a new tranche on investment, a new treatment is released for a disease you are studying, or whatever. 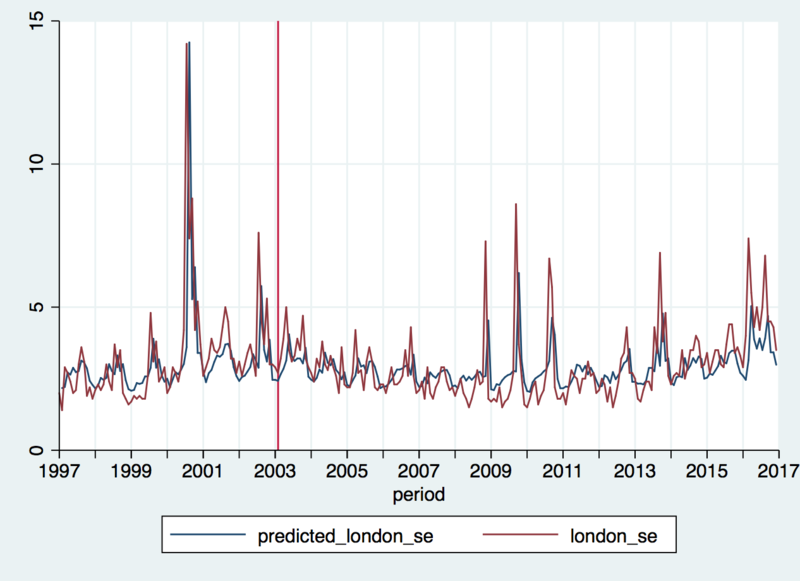 To make modelling decisions in these situations, you need to test the assumption of stable regression coefficients over the time series. You can see a slow trend that the LOWESS curve picks out: performance got worse, up to about 2003, then got better again, until about 2010, and then got worse again. There’s some sign of seasonality but there are also some large outliers and the percentage, as we might expect, has a skewed distribution. 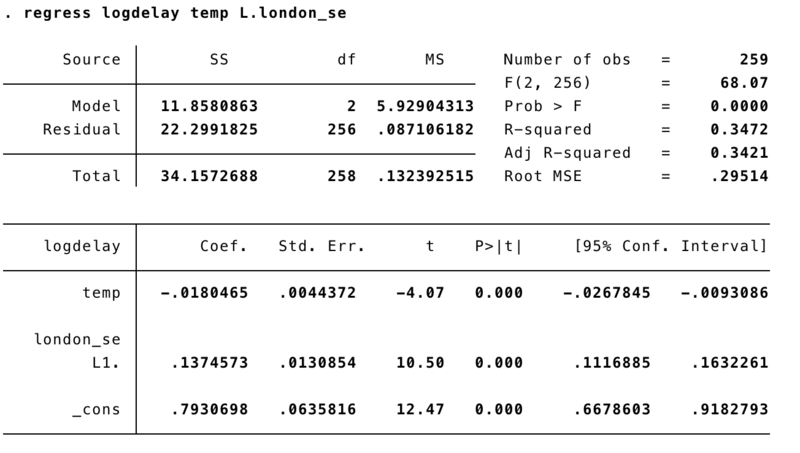 So, one of the first things to do is to calculate a log-transformed version of the dependent variable. 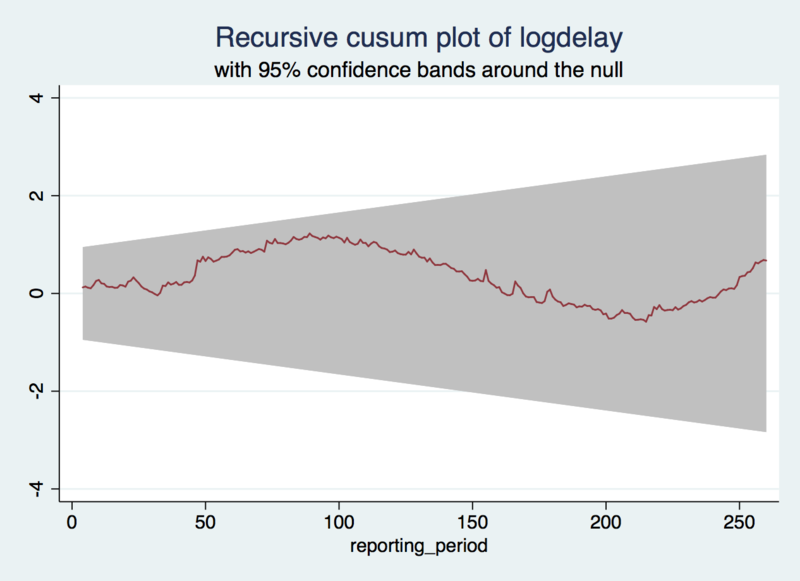 We can see something is wrong because the test statistic is larger than the 1% critical value, and the CUSUM curve extends outside the confidence bands in the plot. The plot also helps us see when this happens, around reporting period 80, which is early 2003 — the same time that we already knew seemed to be a turning point in the long term trend. 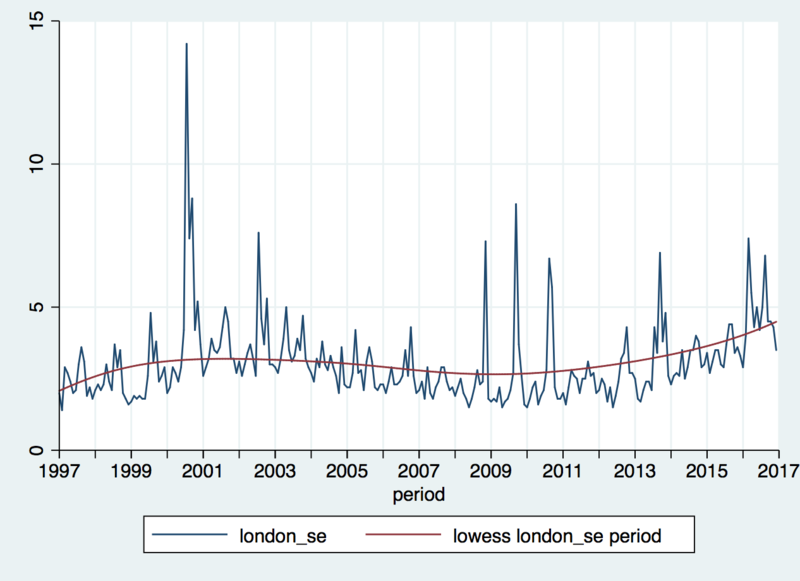 Also, the CUSUM curve, which we would like to be fairly flat and all contained inside the confidence bands, suddenly, after a promising start, veers upwards from reporting period 50 onwards, which corresponds to the largest spike in the time series, when speed limits were imposed across England following three train crashes. So, the test makes sense in light of the data.